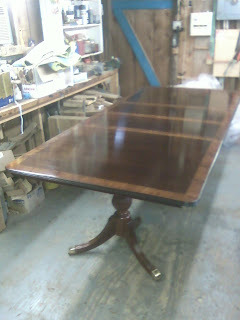 Here are some photos of the Mahogany dining room table I have been working on completed. 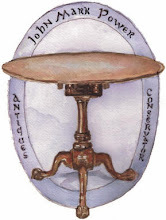 I forgot to mention in my previous post that the style of this table is Duncan Phyfe, but it is a recently manufactured table. The first two photos show the table with the leaves in. 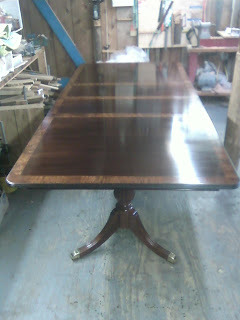 This photo is of the table before the refinishing was done. 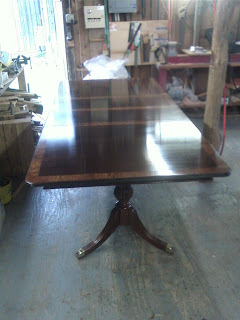 the following photo shows the same end after it had been French Polished. 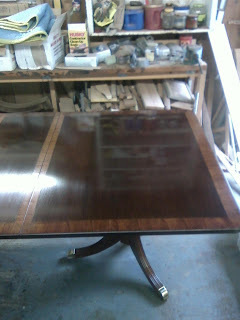 Look at the difference in the sheen as well as the contrast between the banding and the middle section of the table. 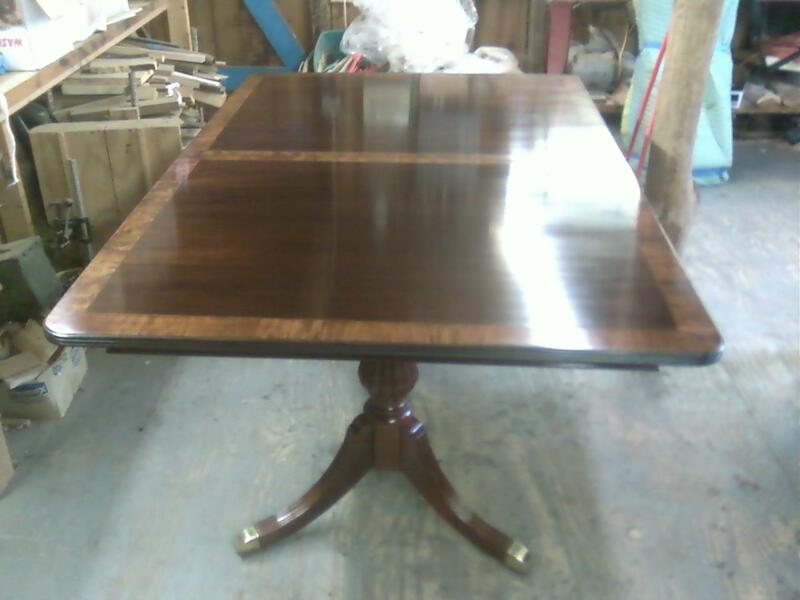 In person, the French Polish feels very warm and has great depth to it. 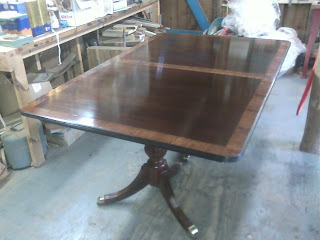 It also displays the wood grain well. 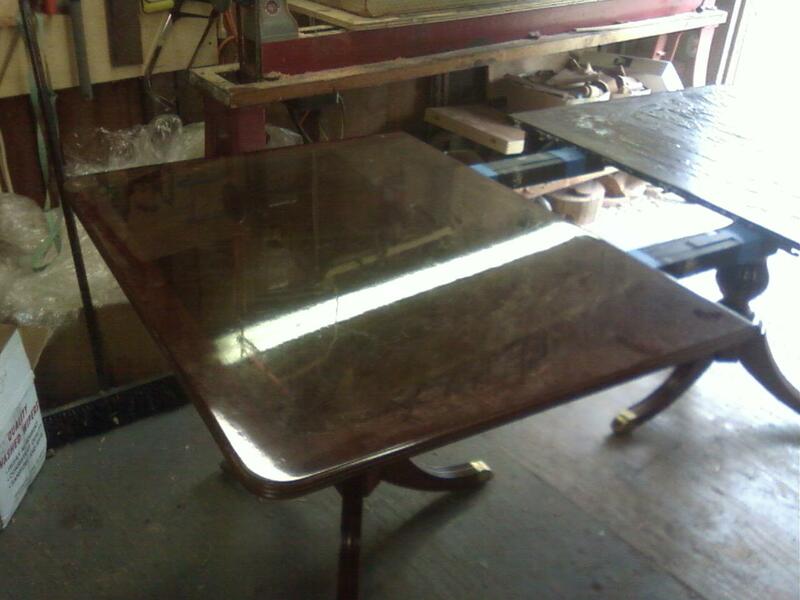 the old finish looked like the table was made of plastic. Here is another angle with both leaves in. The last two photos show the table without the leaves.